Strala is a way of being, moving, and healing, that helps people release tension and handle challenge with ease. When you find ease in effort, your body and life become very capable and strong. You become an expert at creating space in your life for peace, creativity, inspiration, and all-around feeling great. Strala Training empowers you to find this easy capability whether on your yoga mat, leading a class, or living your life. Diagnose and release the stress that inhibits our daily lives, move with grace and coordination through all kinds of challenge, and heal injuries and ailments on a professional level. WHAT MAKES THE STRALA TRAINING PROGRAM UNIQUE? Reputation: Strala is one of the top training programs in the world. Education: Top-tier faculty. Each member has more than 20 years of practical experience, and between 4 and 10 years of advanced education at top-tier institutions, including Harvard, Oxford, and University of Edinburgh. Worldwide Appeal: Strala is the most widely-reaching style of yoga in the world, with a wonderfully diverse audience. Results: Get healthy, happy, and create a life that reaches beyond your dreams. Leadership: The only mainstream training program led entirely by its founders, Tara Stiles and Mike Taylor. Not a generic training: You graduate with a unique set of skills that people love all around the world, which makes it much easier to find work. 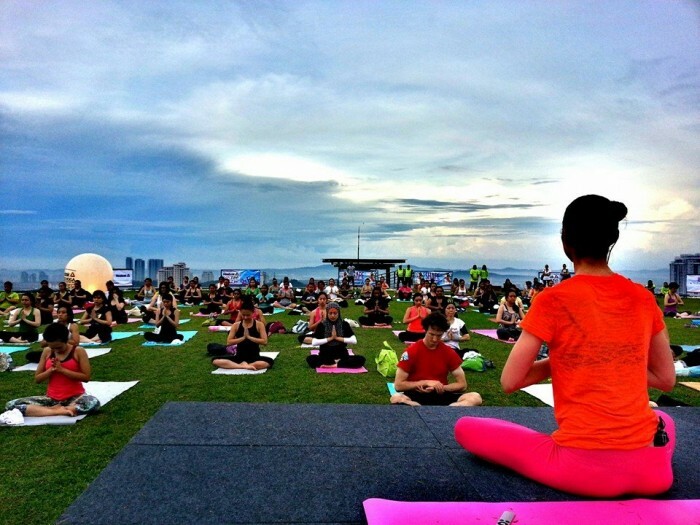 Highest Standards: Part of the global Yoga Alliance Professionals, holding higher standards than the American alliance. Science: Our program is backed by mind-body medicine pioneer Dr. Deepak Chopra and Harvard Professor of Neurology and Director of the Genetics and Aging Research Unit at Massachusetts General Hospital, Dr. Rudolph Tanzi. We get asked this one a lot. Mostly we talk about how it feels great. People get happy! They get super-healthy. They make their own rules, and their own yoga. They make their own incredibly inspiring lives. But where does all this begin? It’s in our minds. Strala psychology is extremely expansive, freeing, creative, intuitive, never stuck. It’s in our bodies. We’re everything we are – body, mind and spirit, all one whole – and we care for all of it happily & intuitively. It’s in our world without rules or “correct” ways. It’s people finding their own ways into their own bodies, and into a world without limits. The magic is in the breath, movement, ease, and fun. You’ll learn the tools to deliver an inspiring and energizing experience, whether you’re leading Strala, or simply adding what you love about Strala to the style you already lead. Feeling great in your body and calm in your mind is the goal. With this process, hard things become easy. Challenging poses and movements become simple. When you can lead these concepts by example, with clear instruction and class structure, you’re all set to inspire a lot of people, beginning with your own personal journey. Take care of yourself to take care of everyone. Your main job as a Guide is to take great care of yourself. From here you can begin to help others. You’ll sharpen your tools, your skills, and your delivery with practice in the training. What you are truly sharing is the experience of how you feel about yourself. We’ll dive into exploring self care through mindfulness, thoughtful movements, and clear language, opening up multiple paths for you to be of service to yourself and others. Get ready to deliver magic and help people feel fantastic! This is important work you’re choosing to do. Helping people feel great helps yourself and the world. Tara Stiles is the founder of Strala, the revolutionary approach to being, moving and healing. 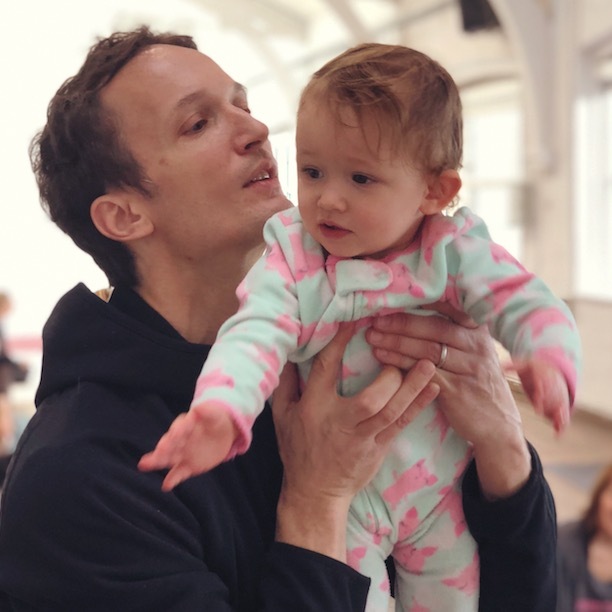 Strala teaches yoga, tai chi, and Traditional Chinese Medicine, to help people release stress, let go of bad habits, and move easily through all kinds of challenge. Strala is practiced in more than 100 countries, and thousands of Guides are leading Strala classes daily around the globe. Even more Strala training graduates bring what they learn into their office work, healing practices, and all of life. The mission we share is to help people accomplish far more, through softening and connecting with our creativity and purpose. Tara has authored several best-selling books including Yoga Cures, Make Your Own Rules Diet, and Strala Yoga, all translated and published in several languages. She has been profiled by The New York Times, Times of India, The Times (UK), and featured in most major national and international magazines. Tara is a sought-after speaker on topics of entrepreneurship, health, and wellbeing. Harvard profiled Tara‘s work in a case study, and she has spoken with students at Harvard and New York University about her experience, and approaches to creativity and leadership. Tara supports The Alliance for a Healthier Generation, an initiative with the American Heart Association and Clinton Foundation, to combat childhood obesity. This brings Strala classes to more than 30,000 schools around the United States. She also supports the BOKS program, which delivers Strala classes and wellbeing resources to educators across North America. Tara is married to Strala co-founder Mike Taylor. They live in Brooklyn with their one year old daughter Daisy. Mike Taylor is the co-founder of Strala, with focus on East Asian movement, meditation, health, and healing practices. Named “Best Mover” by MindBodyGreen he’s practiced Eastern movement and healing techniques, including tai chi, qigong, and shiatsu, for more than three decades. In his younger years, Mike challenged centuries of reasonable and well-tested martial traditions in hundreds of competitions, by applying unruly imagination to a world where rules were unbreakable. As he got older, he happily become more interested in supporting bodies than disrupting them, and continued on to medical applications of the mind-body connection in university. Mike studied mind-body medicine at Harvard, and alternative medicine and psychology at Oxford. After running into walls with standard medical practice in the U.S. and England, Mike left his healthcare roots. He worked at a steel mill for a while, joined a web company, and then founded a few more. Now Mike has found his way back to health care done right, helping to create a system of yoga that draws on his martial and healing experience. Unbound by rules and guru-traditions that don’t work, Strala is helping people let go of stress in their bodies and minds, become their own best caregivers, and live happy capable lives. Mike is married to Strala co-founder Tara Stiles. They live in Brooklyn with their one year old daughter Daisy. Sam Berlind is a member of the Strala Training Faculty, with primary responsibility for Traditional Chinese and Japanese Medicine. Sam is an Ohashiatsu teacher and practitioner living in NYC. While studying Comparative Religion and Philosophy at the University of Edinburgh in 1981, he began to practice Iyengar yoga. Sam continued to practice and teach yoga after moving to NYC. Eager to learn more about the relationship between the healing properties of yoga and traditional Asian medicine, he began studying with Wataru Ohashi. 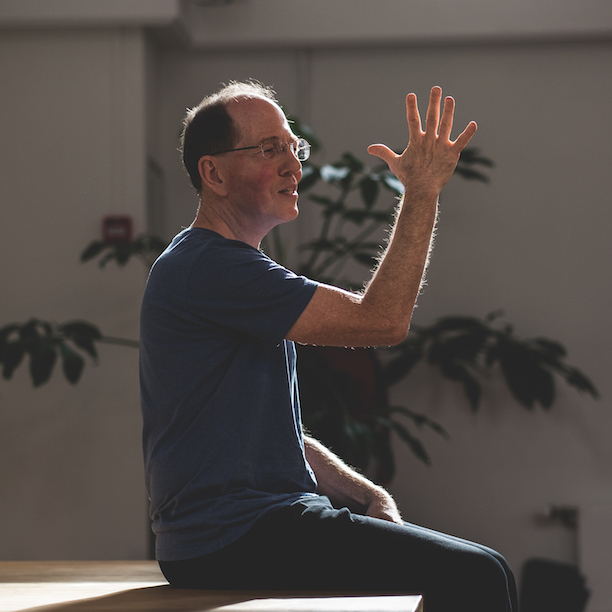 Sam fell in love with shiatsu, began teaching Ohashiatsu in 1987, and has since taught in NYC, Omega Institute, and throughout the US and Europe. Sam also teaches enhancement workshops and seminars based on his study of Feldenkrais Method, Gestalt therapy, Zen Shiatsu, TCM, and other modalities. His understanding of the healing arts is deeply influenced as well by his study and teaching of martial arts since 1988. We have a library of classes led by Tara that’s available on our site. Our Strala Online Training will be available soon. This course introduces many of the topics covered in our longer trainings, and provides detailed instruction that makes for good preparation and ongoing review. Strala is a revolutionary approach to being, moving and healing. It breaks through tension and stress in your body and mind, that keeps you working much harder than you need, to achieve much less than you can. You’ll learn to move powerfully through your life and handle challenge with ease, using a proven structure that combines the rich vocabulary of yoga, with the movement and healing wisdom of tai chi. The result: you get radiantly healthy, free, inspired, and happy from the inside out, and learn to create your destiny on every level that matters. You can find our training schedule and lots of other great information here. All our trainings have people from a wide range of backgrounds and experience. Some people are relatively new to yoga and just want to jump in, some are long-time practicers exploring the connection between their yoga and the rest of life. Many existing yoga teachers are also bringing the ease, freedom and expansiveness of Strala into their own leading practice. 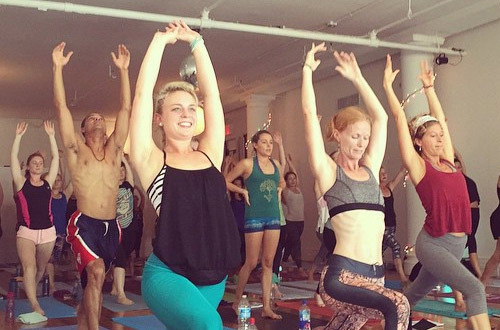 If you’re looking to teach yoga in the near-term, at least two years of practice is required. The diversity matches well with real life, and makes great ground for training! Strala Trainings follow an adult-learning model, which combines structured and unstructured time, with focus on practical application. This works well for people’s learning process, and counts toward your 200+hours. All contact time with our faculty adds up, above the core training hours. Some people are at the studio a great deal of time every single day, so they get more hours in a more concentrated timeframe. Some people spread their time with us over a longer period. Both approaches work fine, we’re here to support what’s best for each person. In addition, each person will spend a good amount of time in classes, both with Tara and Mike, as well as online for people who don’t have every day with us. The online component can include Tara’s videos, our course on MindBodyGreen, as well as our online training program. This is all great to do before training as preparation, and after training as ongoing review. On top of this, there are several study and practice items (outlined in the welcome material) that you can do in small groups and on your own, supported by our faculty. Some people concentrate this effort during the training, and some people begin early, and continue for several months after our core component is complete. Strala follows a graduate school rather than grade school approach, so we’re here to support rather than police people’s time. Much more than a certificate, the point here is to become really good at what you do! This takes some ongoing time, and we remain available to help people keep developing on the right track, and specialize in the topics that are most interesting to them. Both trainings focus on applied rather than theoretical yoga: not much time on academic study of mythology, ancient texts or languages – and substantial focus on hands-on direct work with leading, touch, health, and healing. Both trainings cover the same general topics. The main difference is we have a good deal more time in the longer training to cover these topics in depth. You also have a lot more time to gain competence (and confidence) through practice and feedback with the group. If you’re looking to lead classes, or just get really into your own yoga, the longer trainings are wonderful if you have the time. 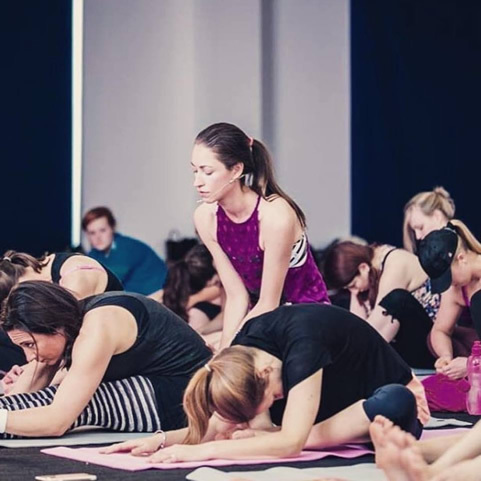 If you’re wanting a good introduction to Strala’s primary elements, which you can add both to your own practice and your classes, the intensive trainings are perfect. Either way, you’ll have a great time, and get ready to lead and inspire a whole lot of people. Q: I'm not local, where can I stay during training? All our trainings have travelers from all around the world. People have had good experiences using the sites Air B&B and VRBO for affordable short-term rentals. Get FREE Detox Yoga video right now to your inbox & keep up with new posts!